. يعمل Bella Vista Gisborne على ضمان إقامة مريحة لضيوفه من خلال خدماته الممتازة وحسن ضيافته. يمكن لضيوف الفندق الاستمتاع بالميزات التالية على أرض الفندق: واي فاي مجاني في جميع الغرف, خدمة التنظيف يوميًا, خدمة غسيل ذاتية, تسجيل وصول/تسجيل خروج خاص, مجهز لذوي الإحتياجات الخاصة. تتضمن كل غرف النزلاء وسائل الراحة والتسلية المصممة خصيصاً لضمان الراحة القصوى للضيوف. كما أن مجموعة الخدمات الواسعة الموجودة في الفندق لضمان راحتك تترك لك الكثير من الخيارات لقضاء وقتك أثناء فترة إقامتك. إن Bella Vista Gisborne هو مكان مثالي للمسافرين الذين يتطلعون إلى الراحة والاستجمام في المدينة. We were attending an 80th birthday party and arrived early for the afternoon function after a long drive. Hosts were very accommodating, gave us our room early and provided helpful directions. Room was No 101 which is for disabled guests. Hotel and room very clean and tidy. Only issues were no A/C and walls paper thin so you can hear the room above and below clearly. Only amenity given was a bottle of milk for coffee. 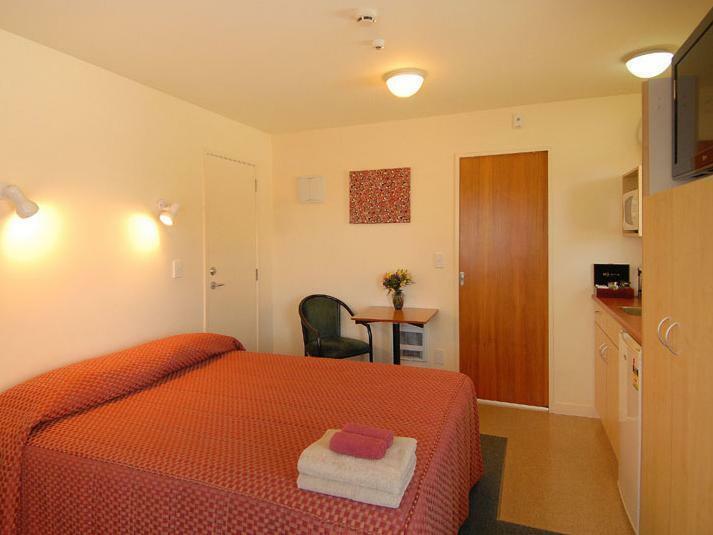 Had three nights, it was all good for a well managed and immaculately maintained motel. The management are friendly and happy to offer advice on where to eat and what to see. They don't do food (Agoda need to fix the rating system above) but they know where to find good food in Gisborne. Ticked all the boxes,.though expected to find a microwave In the unit .one takeaway restaurant In the list provided ,seemed no longer to be operating ,the telephone Number listed . 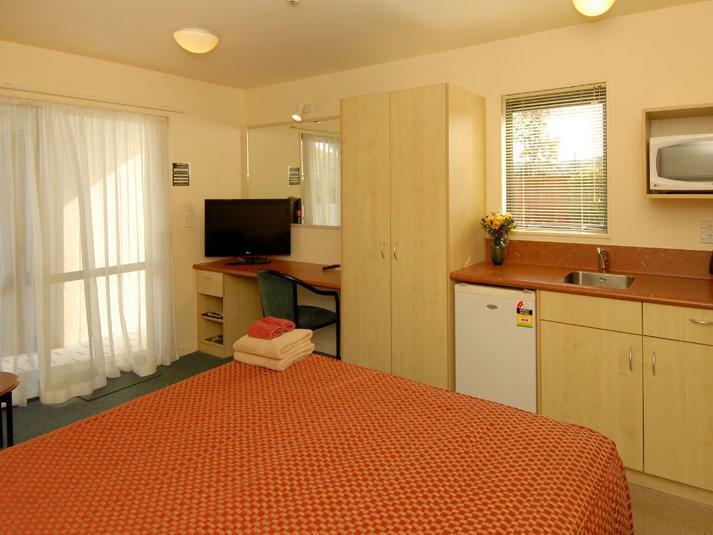 Spacious rooms, very good amenities, everything one would require! My daughter and I were pleasantly surprised with our accomodation. All rooms were clean and comfortable. Bathroom was large with spa bath and shower. Kitchen was well equipped. Very pleasant hosts. Close to city centre. Would definately recommend. This motel is handy to all the surrounding sights. The rooms are not large but adequate. The motel has kitchen facilities but don't expect too much. There was a small table on the outside walkway with one chair. All in all this motel was OK and I nwould stay there again if the price was right. The pleasant, helpful reception coupled with the quality of the room and its cleanliness created an initial positive impact which lasted for the duration of our stay. The room was of a good size, well appointed and not at all dated. The location is equally handy for trips to the beach or into town. The was more than enough parking available at all times. Absolutely spotless room and upgraded as well ! 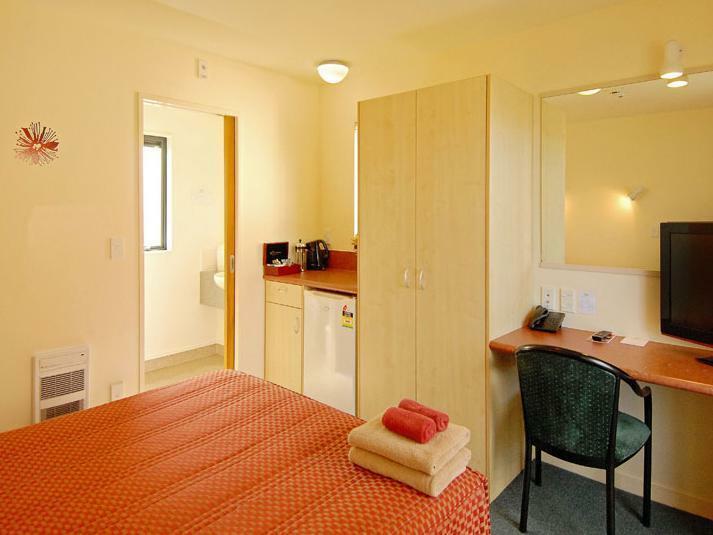 A very pleasant motel unit, close to town and absolutely spotless. All the amenities, including a fan which motel units do not often have. Arrived to find my room had been upgraded at no extra cost, a lovely surprise. Charming hosts - the croissant and pastry breakfast was delicious, different, and very reasonably priced. 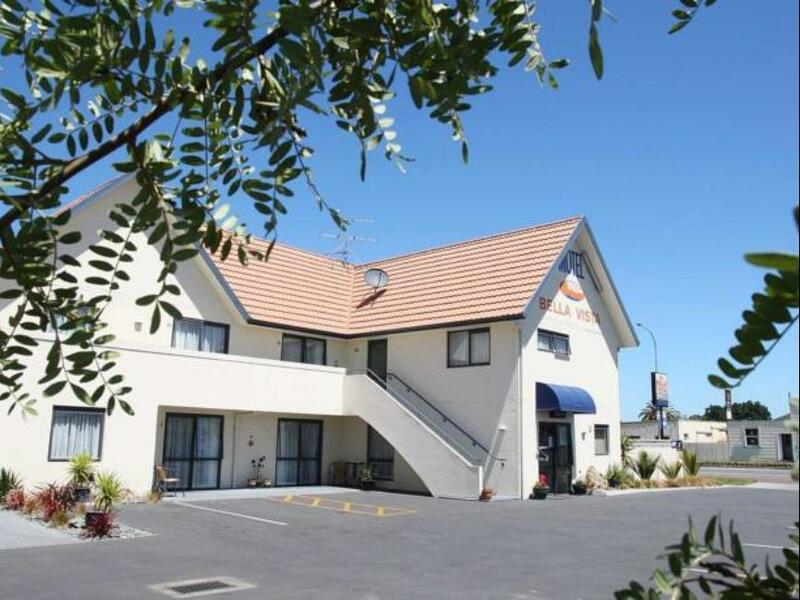 Would not hesitate to recommend the Bella Vista Gisborne to any friends or travellers and despite it being close to town, it was very quiet and peaceful. Enjoyed our stay - good value for money , clean but small rooms. Friendly welcome. 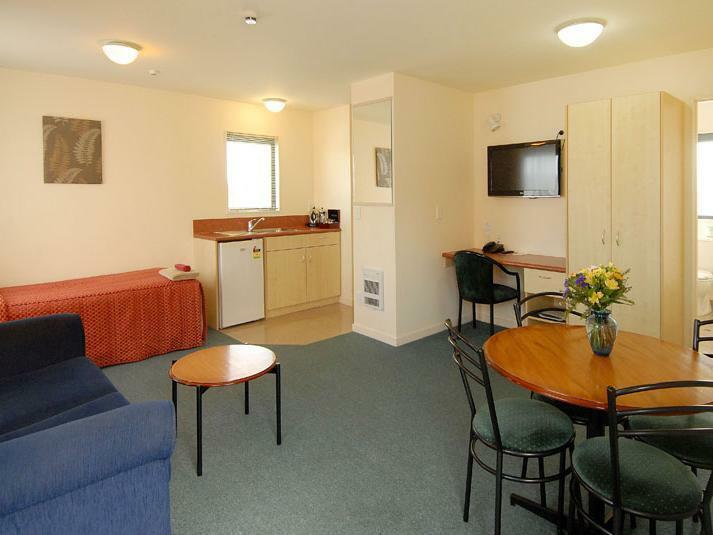 Small but comfortable room with ample parking. Tea/coffe making facilities. Well situated for making trips to various historical sites. On outskirt of town with good shopping and food outlets. Had to see Cook's landing site and local museum. quiet location. short drive into town centre. free wifi. guest laundry. this hotel thrives on hospitality and it does it very well. they go out of there way to ensure that you have a pleasant stay and are ready to steer you in a direction for meals and entertainment. my wife and i were here for her birthday and they helped us finding things to do and see as well as recommending a couple of restaurants which were great, thanks. our hosts were most hospitable and helpful. they welcomed us with a smile, and provided about anything we needed. we enjoyed staying there that we in fact extended an extra night. Mein Aufenthalt, war sehr schön… Die Inhaber waren sehr freundlich und haben mir bei allem weiter geholfen… Sogar zum Flughafen haben sie mich gebracht… Ich kann es wirklich nur weiter empfehlen… Sehr freundliche Leute!! !